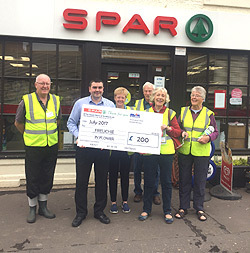 SPAR Peebles recently celebrated their 35th anniversary with SPAR. 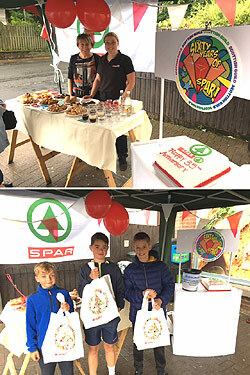 To mark the occasion the store handed out 100 SPAR branded goody bags to the first 100 lucky customers. 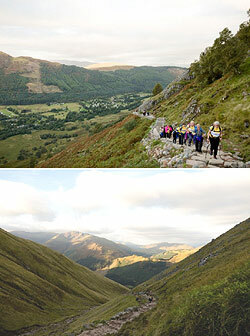 A team of over 70 people from CJ Lang are taking on the challenge of climbing Ben Nevis on 17th September for Marie Curie who is the chosen charity partner of SPAR Scotland. SPAR Freuchie owned and operated by CJ Lang and Son Limited has recently donated a generous £200 to Freuchie in Flower. 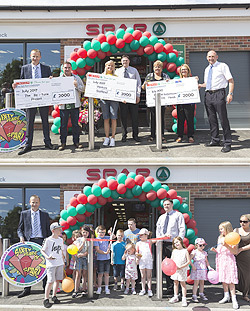 SPAR Scotland celebrated the opening of their brand new SPAR store in Garthamlock, Glasgow with a spectacular launch Day on 24th July 2017.